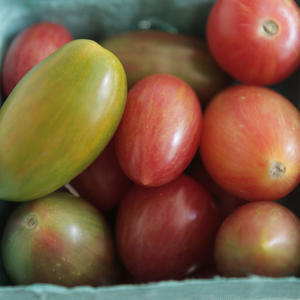 Heirloom varieties of tomatoes are colorful and sweeter than common hybrid varieties. Heirloom varieties of tomatoes lack the genetic mutation that imparts a classic red color and decreases the fruits sweetness. Showing up in a variety of hues, these summer beauties are more delicate than the standard tomato but come packed with a punch of flavor.